Mothers everywhere know that the time you have with your children are the most treasured moments in your life. Those cherished moments occur less as your children grow older and become independent. As a mother of four sons there are few moments I can look back to and fondly remember having each of my boys, each unique and individual in his own way, yet all completely of me, together in a single place at once. 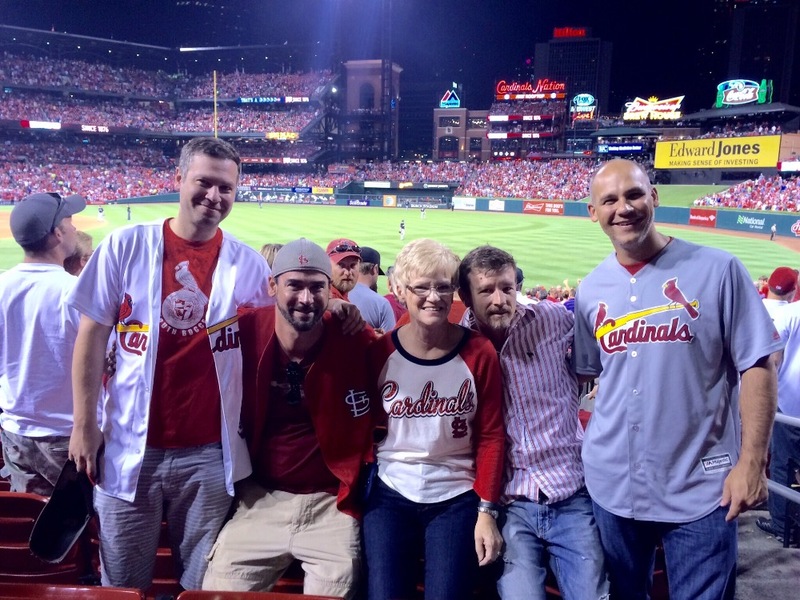 My oldest son, Chris, joined me and my other three sons who had made trips from their homes throughout the country along with their families to celebrate my 60th birthday to watch the St. Louis Cardinals. This rare, and precious night turned into every mother's worst nightmare. Chris was shot while walking back to his car from Busch Stadium in downtown St. Louis. 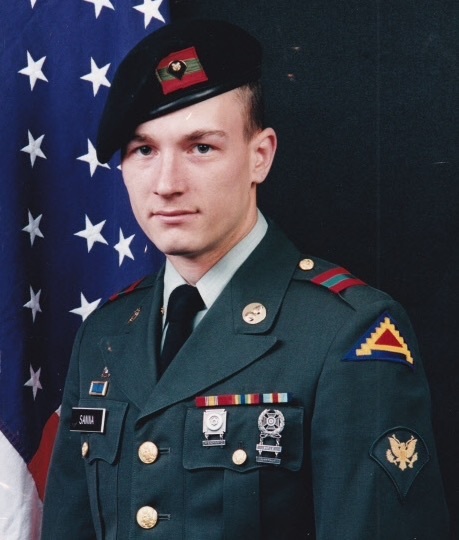 Chris served in the Army for 6 years, I watched him grow, become a man, a soldier- and now he will likely never walk again. Chris and my family need your support to help for his ongoing care in addition to the medical bills and preparation for a challenging future. It’s been six months since I have posted an update. I keep waiting for improvements so I can post a positive message. Chris has been battling an infection since he developed a pressure wound after he broke his leg last September. We struggled with the wound for three months before he was admitted to the hospital. He has been bedridden in the hospital for eleven weeks. Yesterday he was scheduled to have surgery to close the wound then be on his stomach for six weeks. He was hopeful to be on the road to recovery. It came to a screeching halt just before surgery when the found a blood clot in his broken leg. Yes his leg is still broken after six months. Paralysis slows the bone growth due to low bone density. Apparently the brace they made for his leg has caused the clot to move up near the groin. The doctors were working on the next plan of action last night. Chris wants to go home so bad. He misses his doggies. It’s already been eleven weeks and no end in site. Nine of those weeks were at the spinal cord unit at Jefferson barracks. I noticed his leg was double it’s size from swelling. Why didn’t they do an ultrasound while he was at JB? If they knew he had a clot why wasn’t he on blood thinners while he was waiting to clear up the infection. I have so many questions and can’t get answers. We are fighting to get good health care for our veterans. I have been a strong supporter for the VA and I appreciate everything they have done. I just wonder if this would happen at another hospital. It’s all happening because someone who didn’t value the life of another human being chose to shoot a gun. When we heard the diagnosis paraplegic we had no idea that it meant a life without walking and hospital stays over and over. Thank you for reading this update. As I write this with tears rolling down my face it gives me strength to know so many people will be praying. God bless you! I spoke with the doctor at the VA on Friday the 12th. Chris leg is broken in multiple places and it will take a very long time to even start to heal. That leaves him completely home bound for months. Since it’s so difficult to got to the hospital the nurse is coming to him. She will evaluate the situation to determine if he needs to be transported to the hospital. They are also sending home bound care. This will help with cooking, bathing and cleaning. I can’t even begin to stress the help that will be since it’s only been three of us for two weeks. I promise to keep you posted as the medical updAtes come in. I do this in appreciation for your donation and prayers for him. Unfortunately the nightmare that began three years ago wS only the beginning. Thank you for your prayers. Keep it elevated and straight. I will be retiring in a few weeks to help him. We are trying to get home care from the va. Please pray we can get help. It’s pretty rough for me. My brother and Chris uncle just passed on Saturday. It just keeps happening. Got to get better. God bless for restoring my faith every day. Chris is in the hospital patiently waiting for the Monday morning doctors. We don’t get much information on the weekend. Thank you for all the donations it really helps. God bless! This is Nelda Granderson and Gregory Houston from Diner's Delight Restaurant located at 1504 South Compton Ave. Our thoughts and prayers go out to you and your family during this difficult time. We would like to extend an invitation to you and your family to dine in or carry-out lunch or dinner on us. Please visit our website at dinersdelightstl.com or call us at 314-776-9570. Chris and family, thank you for your service. As a fellow Soldier, I personally understand the sacrifices that you and your family have made for our nation. As a St. Louisian, I know the passion for our city and our teams. Glad to see that everyone is rallying to take care of a brother. You will prevail and make the most of a terrible event. Wishing you and your family the best in this challenging time. Contact Aid toVictims of Crime they helped me with dr bills. You're in my prayers! I feel just awful for this man and his whole family. I can't imagine the pain & heart break you all must feel. Prayers for strength and healing. It's a horrible shame that STL has to be known for this kind of horrid senseless crime. Blessings to you all. Msg Kissell & family are praying for you! He would love to talk to you, so sorry this happened to such a great guy! Hope to hear from you soon.... Sending ((HUGS)) Love & Prayers!! Prayers going to the family, stay strong. Praying for you STAY STRONG! So sorry just a senseless act and sorry your son is paying for it. God Bless and I am praying for his speedy recovery. I believe in miracles. It means so much, these updates. Thank you for taking the time. I know that it also helps you actively "do" something in a very helpless=seeming time. But I quietly remind you as a mom and as a minister that your faith, calm, hope and mostly your LOVE IS MOVING MOUNTAINS! And not only in your family, but in ripples that reach out to thousands. Be strong and take the love. It is for you and with you through Christ. Hugs. Eat pie. Laugh. He looks awesome given the situation but we know his mom! We know the stuff he's made of. Keeping prayers. First and for most, Thank you for your service to our country. My heart goes out to you and your family. May GOD heal you completely. May he wrap you in his arms and give you comfort during this time of tragedy. So sorry this has happened to you. May this criminal (Animal) that had the nerve to check your pockets after he robbed and shot you be caught and get life or, more so, death for this senseless crime. GOD BLESS YOU and your family. Stay strong Chris! Unfortunately there is a culture in St Louis City that the City has failed to deal with. Political correctness is the enemy of Law and Order. We look forward to you being a voice to help change a broken system in St Louis system. The Cardinals are getting ahead of this, when in fact they can be sued for millions for lack of security on their property. They should be paying for everything, and if not should be made to. I would really like to donate something, and will Friday, but if its ok with family of Chris, I would like to come and visit Chris and personally thank him for all he did for this country. If someone can get back with me , let me know I would really appreciate it.God blesd you and your family. Sending love and prayers for you and your family. 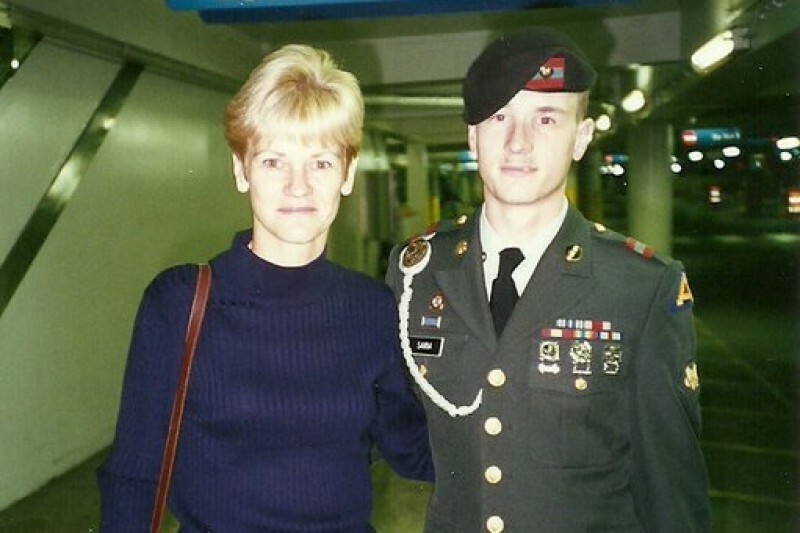 My husband is a Veteran and we would like to thank you for your service. I'm so sorry that this happened to you. May God give you strength to get through this. God Bless. Our continued prayers for you! Continuing prayers for you and your family Chris. Stay strong!! There are many people pulling for you each and every day. May God bless you. No person deserves such senseless acts of violence! Love & hugs!